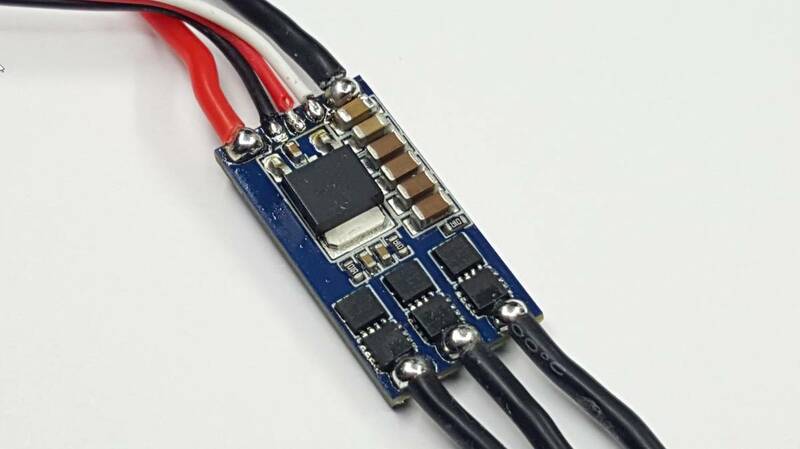 The Mini 20A features a UBEC and is the smallest 20A ESC With a BEC built in, for the builds when one do not have to worry about another 5v power suppy to power there flight controller. 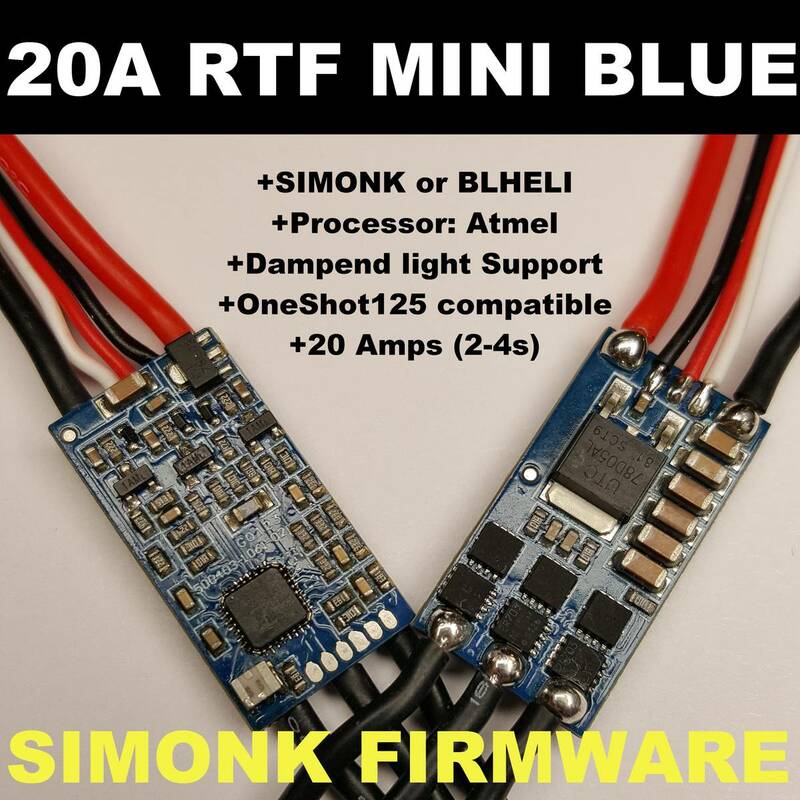 The RTF Mini 20 amp ESC with customized SimonK firmware including OneShot auto-detect . Small in size (27x14.5x6mm) supporting 20A on 4s. 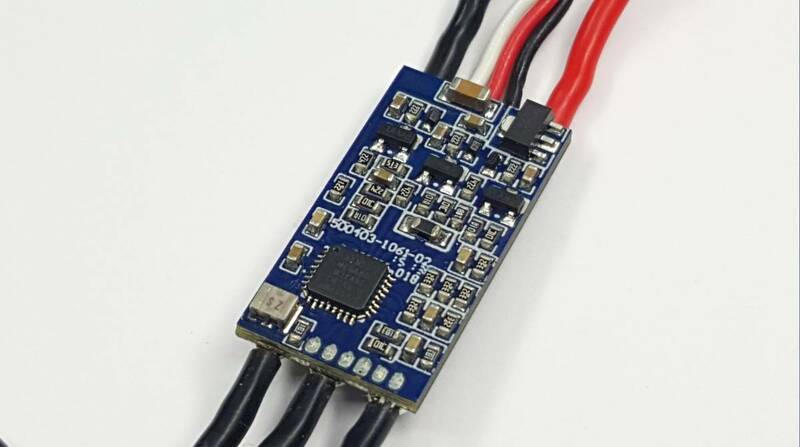 The ESC comes pre-loaded with the newest firmware, which is compatible with new features like "OneShot" . 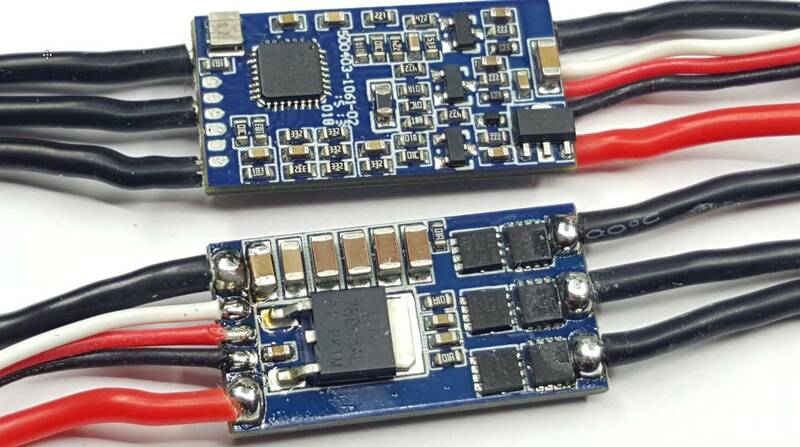 No soldering a jummper pad required, it will auto-detect if OneShot is enabled), Comp PWM (Dambed light), compatible with all Lumenier motors up to 4 cell. 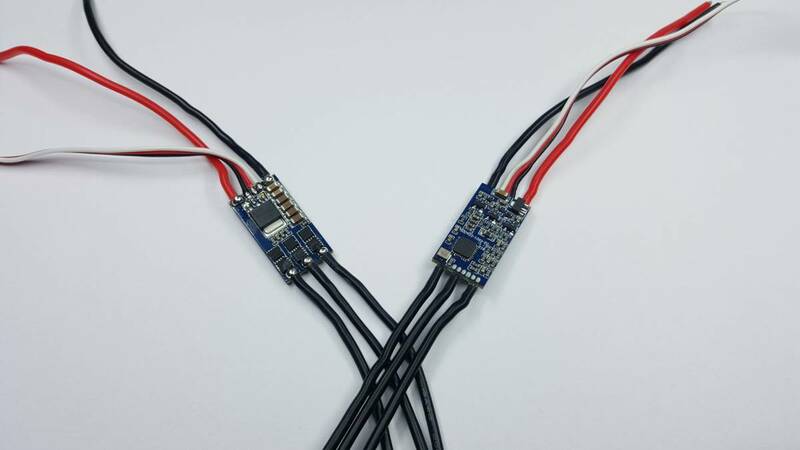 The RTF 20 amp AutoShot ESCs have been tested and are compatible with all of your motors and many more with , 2S-4S, both 5" and 6" props without sync loss issues or cogging. The Simonk AutoShot firmware is pre-calibrated with endpoints 1060us - 1860us. This corresponds to the default endpoints in both Baseflight and Cleanflight. Therefore, "Calibration" procedure is not necessary. Enable Racing mode: We will turn on Comp_PWM + Motor_adacance timing. This can also be changed with the radip flash chrome app . 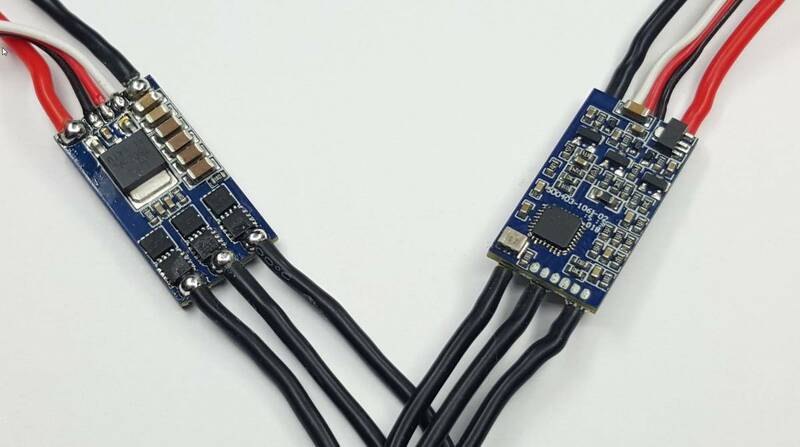 All esc come with a bootloader. racing mode settings please .